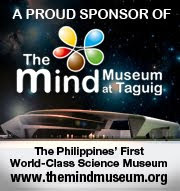 Experience science come alive in The Mind Museum, the first world-class science museum in the Philippines. 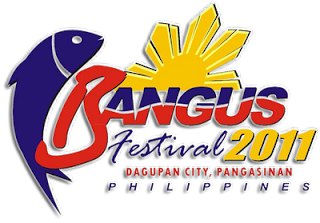 It will open in December 2011 and shall be located inside the Fort, in Taguig, Philippines. 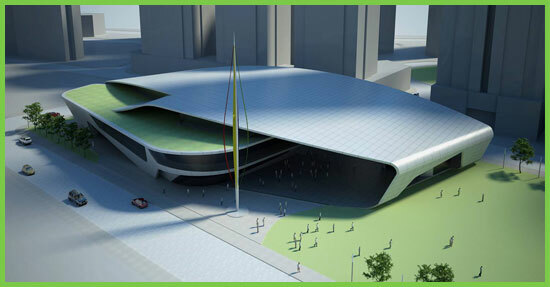 "To build a home for science and to make it the FIRST WORLD-CLASS SCIENCE MUSEUM in the Philippines." As the project's vision also states, they want to make it a "defining legacy that will give the next generation the wings to fly against the challenge of a future shaped largely by service and technology." Having experienced state-of-the-art science museums in the U.S., I knew it was time for something like it to be experienced by many Filipinos. "With over 250 inter-active “minds-on” and hands-on exhibits, the museum will be a venue that will present science as entertaining, fun, and engaging," the Mind Museum website states. On behalf of the museum, I invite you to support this project by spreading the word about it and yes, making a donation. When you donate based on these mechanics, you may get invited to be among the first to experience The Mind Museum’s first exhibit testing event called 'Minds at Work'. This will be on May 26, 2011 at the NBC Tent, Bonifacio Global City. Get a chance to manipulate and play with a varied selection of exciting and engaging exhibit pieces that will give you a foretaste of the science fascination that will greet you when the museum is completed this December. This privilege is open to the first 75 donors only. Hurry! Read the mechanics here. Opportunity for Bloggers: Cover this Event! Would you like to cover this event on May 26? The event is exclusive for donors, but we also need bloggers to help cover it on the May 26, 3-5PM slot. How do you get invited to cover this event? Email me the link of your blog post at this address: tristan@tenminutestops.com. Indicate subject 'The Mind Museum'. Please also include your Full Name, Blog Address, Email address, and Mobile Number. I will raffle off the invite to 4 bloggers who will help promote the museum though their blogs. This is a great opportunity to lend your gifts to a good cause, and to help promote science in the country, esp. among the young. Deadline of entries is on May 15. Selected bloggers will be announced on May 16. When you win, you will be one of only 10 bloggers invited to this exciting event. 6 slots already filled; you could be one of the 4 others! The schedule for bloggers will be on May 26, 2011 from 3 - 5PM. Thanks to everyone who participated and helped promote The Mind Museum. Thanks! Hope to meet you there.